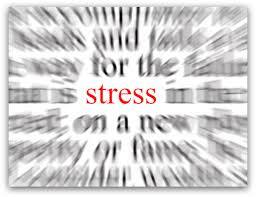 Bottom line is…stress can and does shut down appetites. When we are stressed, the brain sends out messages to the adrenal glands to pump out the hormone epinephrine…known also as adrenaline. Epinephrine helps trigger the body’s important fight-or-flight response that temporarily puts eating on hold. However, if stress persists for an extended time, the body releases another hormone called cortisol that actually works to increase appetite and also boosts our motivations to eat. Normally when stressful situations are over cortisol levels fall…but if a person’s stress continues and doesn’t go away or if it the stress response gets stuck in the on position…cortisol levels may suffer and stay elevated. It’s interesting to note that research done in 2007 showed that those who responded to stress by producing high cortisol levels were also more likely to snack when responding to daily issues in their lives as opposed to low-cortisol responders. It’s obvious when stress is affecting someone’s weight or appetite it is dangerous to keep unhealthy comfort foods too handy. You are only inviting trouble. The real problem lies with the fact that most of us live fast-paced lifestyles resulting in our bodies continually pumping out the hormone cortisol…causing serious havoc on our health. Elevated cortisol over the long run produces glucose eventually leading to higher blood sugar levels and weight gain. Cortisol can lead to weight gain a few different ways. In one way elevated cortisol mobilizes triglycerides from storage and relocates them at their new address: visceral fat cells (located in the abdomen under the muscle). Secondly cortisol affects weigh gain because consistently high blood glucose levels combined with insulin suppression leads to cells starved of glucose. Those starving cells cry out for energy by sending hunger signals to your brain eventually leading you to overeat. Any unused glucose is also stored as body fat. Cortisol also effects appetite and causes cravings for high-calorie foods. Avoid things like caffeine, alcohol and cigarettes as these can actually cause stress and cortisol levels to increase. It also causes blood sugar to drop resulting in hunger. Consider a good multi-vitamin since stress depletes B complex, Vitamin C and possibly magnesium and calcium both of which work to balance the effects of cortisol and may even play a pivotal role in burning fat. Don’t skip meals and eat a healthy nutrient rich diet. This works to balance your blood sugar levels stopping insulin production, reducing cortisol levels and control appetite and weight. Get the recommended amount of sleep because cortisol levels rise when you don’t get enough sleep increasing your hunger. Find a form of deep relaxation that can counter the effects of stress. Yoga, deep breathing, different types of meditation are all good choices. Do these exercises a few times a week and discover the “calm within”. Snack on high-fiber, whole-grain foods rather than sugar laden, simple carbohydrates like cookies, crackers and chips that all work to increase insulin levels and stress hormones making you feel hungrier than ever. Remember, whenever you have a stressful day, your brain tells your cells to release potent hormones resulting in a boost in adrenaline (tapping your energy for your “fight or flight”) and at the same time you get a surge in cortisol telling your body to replenish the energy even though you have not actually burned many calories. For most of us, stress is a fact of life. Stress factors will continue in one way or another…it’s up to us to learn how to manage stress in our lives so that our hormones and in the end…our weight and our health is not adversely affected. If your body continually resists your best efforts to slim down, don’t give up. You just need the proper knowledge and the right coaching. I can help with my “Stop Weight Loss Resistance” program. You can get past your “weight-loss resistance”.